This heavy duty aluminum brake is used to bend aluminum trim, light galvanized steel, as well as copper coil. 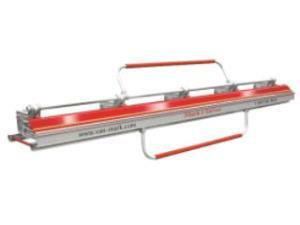 Unit is 10' in length and comes with a removable bending/locking handle. * Please call us for any questions on our aluminum brake 10 foot rentals in Hillsdale and Ridgewood NJ.